I say this because in Turkey it is virtually unknown. I would go even further to say that the whole concept of a cordial – something to which you add water – is not familiar. Here, you tend to have the pure fruit juice or not at all. 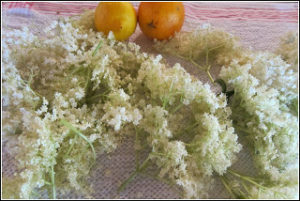 Apparently the elder tree from whence the elderflowers spring is called mürver ağacı. I checked with TT about this and he was a bit dubious. Seems it’s not common. To be fair, I have to say that I couldn’t recognise an elder tree at twenty paces myself. Realistically I don’t think this is a recipe that I will ever make – it’s just that the ingredients are so attractive and I enjoyed watching the process. Also it is incredibly seasonal. 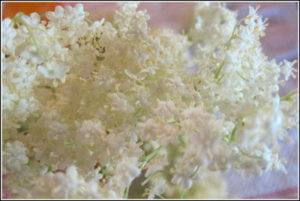 If you want to make it, go and find your elderflowers now! They are so pretty, so floaty, so bridal. Measure out sugar and pour the boiling water over it. Stir. 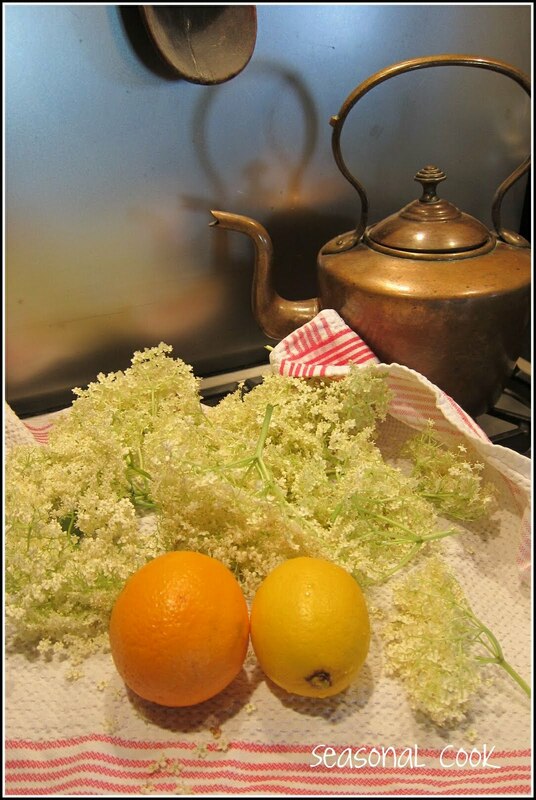 Place the elderflowers on top and arrange the orange and lemon slices over this. Stir well , cover and leave for 24 hours in a cool place to infuse. Strain through muslin and pour into sterilised bottles. Once open, refrigerate. Dissolve 1.8kg sugar in 1.2 litres water over a gentle heat, and bring to a simmer. Then proceed as above. This recipe uses 2 lemons instead of 1 lemon and 1 orange. I like the latter, probably because of the colour contrast! This recipe also uses 75g citric acid instead of the tartaric. Dilute with sparkling water or regular still water, add ice if desired, a sprig of mint or maybe a slice of peach as in the picture, and enjoy a delightfully refreshing alternative to an alcoholic beverage or indeed just plain water. PS Last year elderflower cordial was available at IKEA so I expect it is this year too – just in case you can’t find those elderflowers! 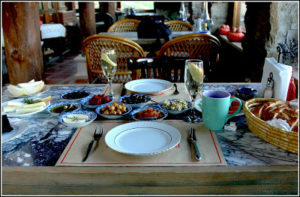 It looks great!A fine and refreshing drink!Never heard of it!A kiss from Greece,dear! Lovely cordial! 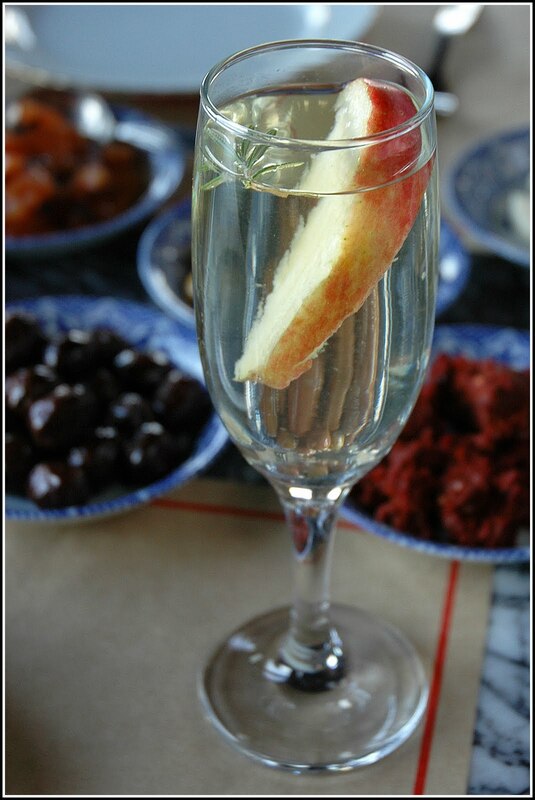 Very refined… Great for small private gathering with my girl friends! I can comment now – there was a problem with that but ı think it's OK now. Yes, this is a great cordial! Thanks for that Greek kiss, Lenia dear! And Barbara, I think those Brit cooking mags are just great … Glorious: would you make this?